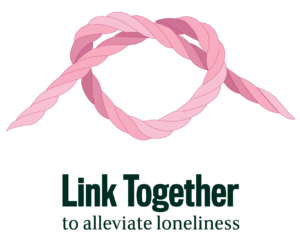 Our Link Together campaign inspires WI members to take action on loneliness within their WI and federation and to raise the profile of the issue in their community. At the annual Meeting in June 2017, 69.3% of delegates voted in support of the NFWI’s resolution to ‘alleviate loneliness’. The resolution aims to ensure that people who are lonely, or at risk of loneliness, are identified at the earliest possible opportunity and have access to the support and assistance they need. It is estimated that more than 9 million adults in the UK are lonely ‘always or often’. Yet many people feel unable to tell someone or seek support. Without the necessary support and assistance, research shows loneliness can have a damaging effect on a person’s mental health, physical health and overall wellbeing. Make sure your WI or federation is open and welcoming – You could create a buddy system or consider how you could make social events and educational activities more accessible. Share your experiences and ideas on how to tackle loneliness – the NFWI is working with the Jo Cox Commission to identify potential actions that can be taken at a local or national level to combat loneliness. Contact your MP to find out if they are holding a ‘Loneliness Summit’ – the Jo Cox Commission is encouraging MPs to hold a Loneliness Summit in their constituency. The aim is to bring people and organisations together to network and share best practice. We’re encouraging members who would like to attend a Loneliness Summit to contact their MP and ask them whether they are taking part. Take part in World Kindness Day on 13 November – why not make a pledge to do something kind for someone else on World Kindness Day to show them you care? You could hold a pledge event to highlight how the members of your WI or federation are taking part in World Kindness Day and supporting people who may be lonely. Ask local health services to make loneliness a priority – we are urging members to contact their Health and Wellbeing Board in England, or Public Services Board or Local Health Board in Wales to find out what they are doing to combat loneliness. Download the Link Together Campaign Action Pack PDF HERE or contact the Public Affairs Department at ku.oc1555850548.iwfw1555850548@nimd1555850548a1555850548 to request a paper copy.